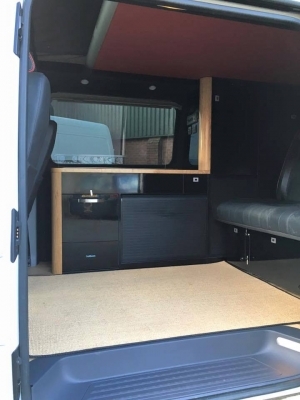 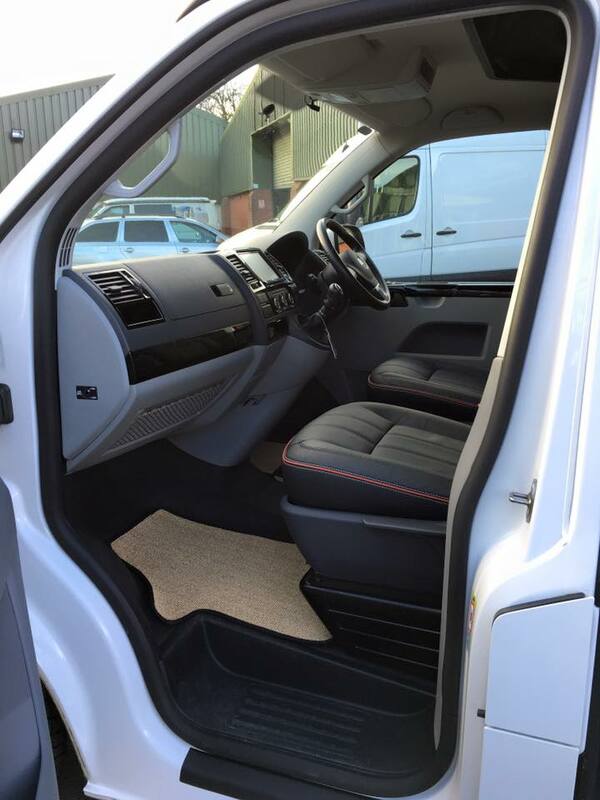 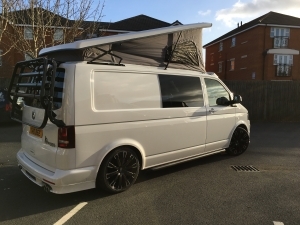 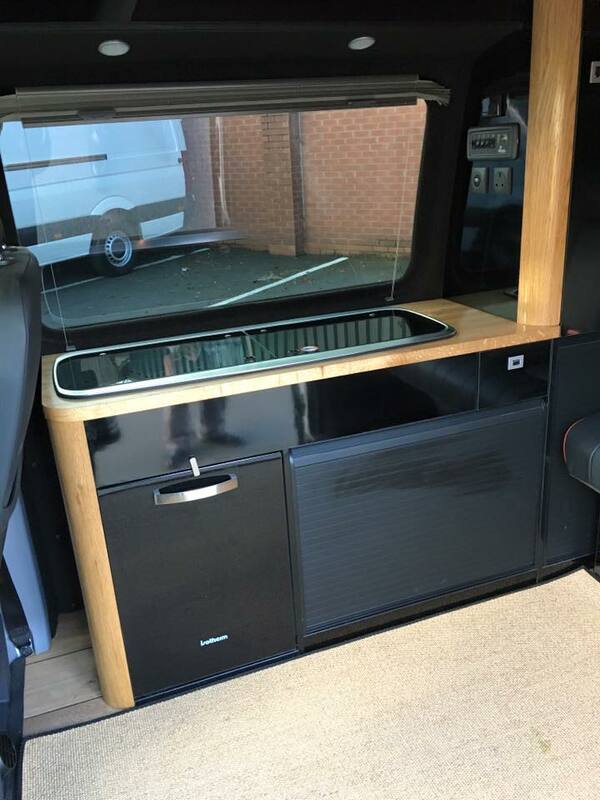 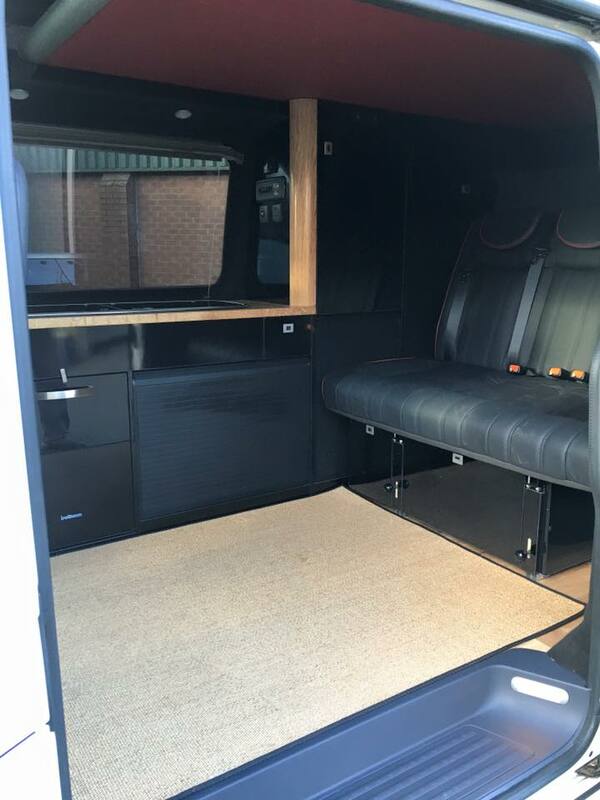 The 'Buzzers' went for the new DW black & oak furniture kit, an easy fit colour coded roofbed in red leather!, a variotech seatbed and some very posh upholstery that has the DW stitch pattern in black with red highlights. The front cab interior panels have all been painted black. Lovely job!